Back into action after a much-needed break this summer! 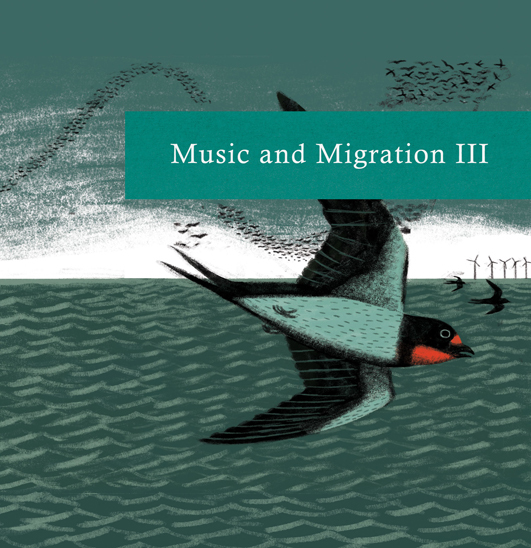 I very rarely participate in compilations but decided to make an exception for “music and migration iii”, the third and final instalment in a trilogy released by second language, the label that released my last album. The project was launched in partnership with birdlife international who are celebrating their 20th birthday, and the compilation’s aim is to highlight the problems (usually due to man’s actions) encountered by migrating birds. Find out about the compilation here and about birdlife international here. I’m going back to playing live in a couple of weeks, first in sicily on 20 september, then for 4 shows in france in october and a show in cork, ireland, on 2 november. As usual you can find all the details in the future shows section (be careful with show times for the poitiers and rennes concerts as they are a bit unusual / attention aux horaires des concerts à poitiers et rennes, assez inhabituels). If you’re wondering what my concerts sound and look like these days, you can see a video of my show from 13 june 2013 in paris at the collège des bernardins. Thank you benoit! « Solar/Stellar (Colleen Remixed) – digital EP out today and video! You are currently reading SONG ON “MUSIC AND MIGRATION III” + LIVE VIDEO AND CONCERTS IN SICILY, FRANCE AND IRELAND at colleen.